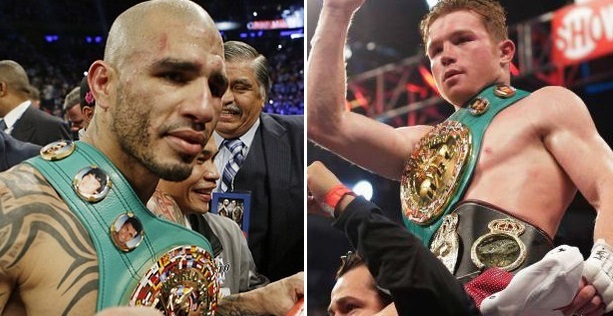 The most anticipated fight of the year Miguel Cotto vs Canelo Alvarez has been agreed and officially announced which will take place 21st November 2015 in Mandalay Bay in Las Vegas. All parties has agreed for the contract and Cotto’s promoter Jay Z’s Roc Nation Sports and Canelo Alvarez Golden Boy promotions will jointly promote the fight. The talks for this fight started earlier in the year and it was all set for 02 May 2015 bout but when Mayweather announced Pacquiao fight Golden Boy promotions and HBO decided to delay this mega fight. Now its all done and both fighters will share the right come 21st November 2015 and this fight has everything to be the biggest of 2015 and a potential “fight of the year” stuff. Saul Canelo Alvarez is the currently the most high profile mexican fighter on the boxing scene and he is fast becoming a PPV star in not only in Mexico but also in United States. He has headlined couple of HBO PPV is in the last couple of years and this will be another big one where he is slightly favorite. TICKETS Tickets information will be released on Wednesday, 19 August with the first official press conference. Mendala Bay has a capacity of 12,000 and we expect tickets to be quite a bit pricy. We will update the info about tickets later. This fight has everything starting with two great boxers, who comes from countries with great boxing rivalry with Cotto being proud Puerto Rican and Canelo Alvarez is Mexican super star on his way to become legend.